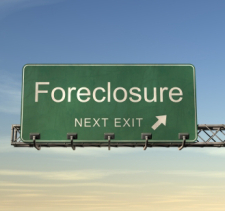 Loan servicers collecting payments on FHA-backed loans must allow qualified borrowers who lose their jobs to miss up to a year of mortgage payments before starting foreclosure proceedings against them, the Obama administration announced Thursday. "Today, 60 percent of the unemployed have been out of work for more than three months and 45 percent have been out of work for more than six," Donovan said. "Providing the option for a year of forbearance will give struggling homeowners a substantially greater chance of finding employment before they lose their home." Although not all borrowers will qualify for the special forbearance program, the administration said that it's removing upfront hurdles to qualification. Servicers must provide any borrowers who are denied forbearance with the reason for denial, and allow the borrower at least seven calendar days to submit additional information that may change the servicer's evaluation. All FHA-approved servicers must participate in FHA's loss mitigation program, which includes the special forbearance program. The administration said that it hopes that the changes will "set a standard for the mortgage industry to provide more robust assistance to unemployed homeowners in the economic downturn." All servicers participating in the Making Home Affordable Program will also be required to extend the minimum forbearance period to 12 months "wherever possible" under regulator and investor guidelines. Originally posted on Inman News.